Billionaire investor George Soros has used his annual speech at the World Economic Forum here in Switzerland to launch a scathing attack on China and its President Xi Jinping. 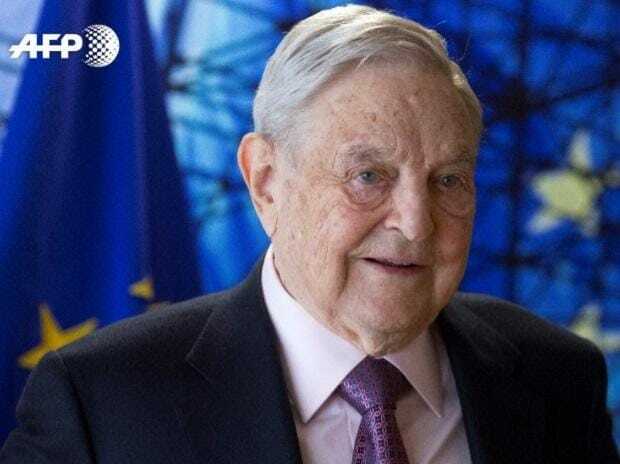 Soros warned on Thursday that artificial intelligence and machine learning could be used to entrench totalitarian control in the country, which has presented an "unprecedented danger", the BBC reported. "China is not the only authoritarian regime in the world but it is the wealthiest, strongest and technologically most advanced. This makes Xi Jinping the most dangerous opponent of open societies," he said, hinting at Vladimir Putin in Russia. In 2018, the Hungarian-born philanthropist had used his Davos speech to lambast tech giants such as Facebook, and what he considered to be their corrosive effect on democratic systems. This year though he directed his wrath towards Beijing, and particularly its controversial "Belt and Road" investment plan, which pays for road, rail and sea links to boost trade with countries around the world. "It was designed to promote the interests of China, not the interests of the recipient countries," he said. "Its ambitious infrastructure projects were mainly financed by loans, not by grants, and foreign officials were often bribed to accept them." Urging Washington to crack down on Chinese technology companies such as Huawei and ZTE, which he said present an "unacceptable security risk for the rest of the world". Soros cautioned that repressive regimes could utilise technology to control their citizens, in what he called "a mortal threat to open societies". Soros, a prominent donor to the Democratic Party in the US, also criticised the Donald Trump administration's stance towards China. Although he did hint at the solution, and said the Chinese people were his "main source of hope".